Before becoming a groundskeeper for the Cincinnati Reds and Cleveland Indians — and then coming to work for us here at Beacon Athletics — Brent Schroeder worked for the Boys & Girls Club in Fitchburg, Wisconsin. During his time at the Boys & Girls Club, Brent saw firsthand how sports were a vital part of building confidence, enhancing communication, and fighting childhood obesity. When a career change brought him back to the Madison area to work for Beacon, he visited the Boys & Girls Club and saw how badly the baseball field next door at Bellmar Hills Park had degraded. The field is used for the Badges for Baseball program which is part of the Cal Ripken, Sr. Foundation and is used every day during summer camp for practices and games between local clubs. The Boys & Girls Clubs of Dane County serve nearly 3,000 kids per year. The field had become overgrown with weeds. 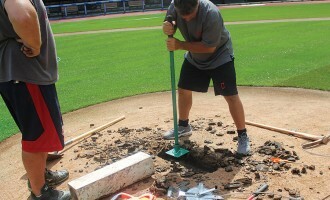 Home plate was badly worn out. 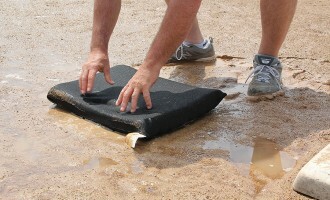 The field was constantly wet due to poor drainage. 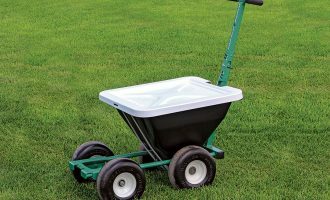 There was no pitching rubber and no permanent bases were installed. For Brent, this neglected field became an opportunity and he convinced the leadership team at Beacon Athletics to donate athletic equipment to the Boys & Girls Club. With the help of some old friends including Paul Zwaska — former head groundskeeper with the Baltimore Orioles — they put together a plan to rejuvenate the baseball field. Beacon Athletics delivered a package of tools, bases, new home plate & pitching rubber, and a new paint stripper to help the Boys & Girls Club take care of the field. 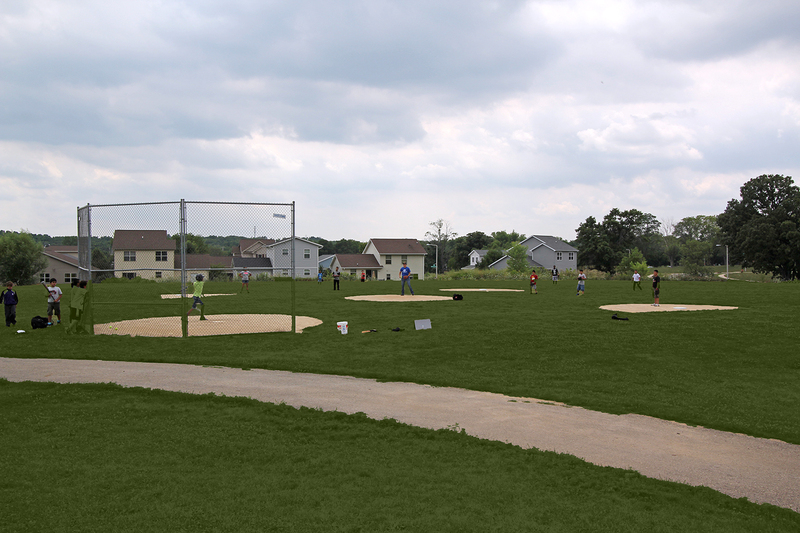 With some equipment borrowed from the West Madison Little League and the rest donated by Beacon Athletics, the enlisted group of volunteers stripped off all the overgrown vegetation, laid out the new field, installed base anchors, built a pitching mound and reestablished home plate. The Fitchburg community now has a new field they can feel proud of. And the kids have a safe and dry baseball field to play on. Thanks Brent and Paul! It’s the passion of employees like you that make us proud to be with Beacon.